Given that Aberdeen are currently on course to finish ahead of Hearts for a seventh consecutive season, and are generally considered to be in better form at present, there is understandable scepticism among sections of the Tynecastle support ahead of this Saturday’s meeting between the two teams in Gorgie. However, as the Edinburgh side seek to inject some much-needed impetus into a league campaign in danger of fizzling out, it may be no bad thing that they are about to host Derek McInnes’ side next. Regardless of circumstances, the Tynecastle side invariably find a way of delivering when the Dons are in town. Considering the relatively similar standings of the two clubs within the Scottish football pecking order, Hearts boast a remarkable home record against Aberdeen over the past 20 years. 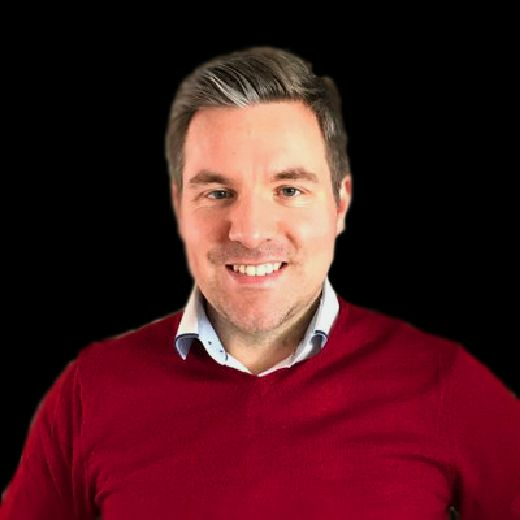 Of the 34 meetings between the teams in west Edinburgh in all competitions (one was at Murrayfield) since March 1999, the men from the Capital have won 22 and lost only six, with the other six ending in draws. Furthermore, Hearts have kept clean sheets in 19 of those 34 matches. For context, over the same 20-year period there have been 37 meetings at Pittodrie, with Hearts winning 13 times in the Granite City and losing only 12. Hearts’ strong record in this fixture, particularly in Edinburgh, can be attributed in part to the fact that they were generally a better team than Aberdeen through most of the previous decade and also the start of the current one. But even in more recent times, when Aberdeen have been busy reasserting themselves at the top end of Scottish football, the Dons have still found Hearts away to be one of their most problematic fixtures. In the past ten years, there have been 15 meetings between the teams in Edinburgh. Hearts have won nine and lost only four. It is worth noting that two of those Tynecastle defeats came under the hapless Ian Cathro in the ill-fated 2016-2017 season, while one of them – a 3-0 win for Aberdeen in January 2010 – proved to be Csaba Laszlo’s last match in charge. The Dons’ only other away victory over Hearts in the past decade was an emphatic 3-1 triumph against Robbie Neilson’s freshly-promoted side in September 2015. Further encouragement for a beleaguered fanbase in need of some inspiration can be found in the fact that a Hearts side managed by Craig Levein has never lost at home to Aberdeen. In his previous reign as boss between 2000 and 2004, Levein presided over four victories and two draws in his six games in charge in this fixture. Since returning to the Gorgie hotseat a little over a year and a half ago, the manager has extended his unbeaten home run over Aberdeen by a further three matches. In the very first match of his second spell in charge, Levein oversaw a goalless draw against the Dons at Murrayfield although his side were widely deemed unfortunate not to claim what, given the two teams’ contrasting fortunes at the time, would have been viewed as a surprise victory. Just under a year ago, with Hearts drifting tamely towards a mid-table finish, Levein’s team still found it within themselves to run out comprehensive 2-0 winners against a Dons side who would go on to secure second place in the Premiership for a fourth consecutive season. Hearts’ knack of dealing with Aberdeen in Edinburgh was highlighted further in October when a team missing influential quintet Uche Ikpeazu, John Souttar, Christophe Berra, Peter Haring and Michael Smith defeated them 2-1 to move three points clear at the top of the Premiership. That victory, incidentally, took Hearts ten points clear of the Dons who had made a slow start to the season and were languishing in the bottom six. In the intervening five months, there has been a 15-point swing in favour of Aberdeen who are now up to third, five points ahead of fifth-place Hearts. Even allowing for the Tynecastle side’s dismal recent home results and Aberdeen’s impressive away form, the way this fixture has gone over the past two decades should provide the hosts with some belief that they can get their Europa League push back on track by closing to within two points of their visitors. The meeting between the sides that perhaps best epitomises Hearts’ ability to defy all logic at home to Aberdeen came in August 2013, when the Tynecastle club had been docked 15 points and were shorn of most of their senior players after entering administration. Gary Locke’s team was loaded with youngsters and down to ten men for the last quarter of the match following Kevin McHattie’s 67th-minute dismissal but still managed to eke out a dramatic 2-1 victory over McInnes’s team when teenager Jordan McGhee scored with two minutes left. For context, Hearts didn’t win any of their following 11 home matches and went on to be relegated, while Aberdeen – who were also held to a 1-1 draw away to Locke’s ten-man side later that season – were pipped to second place by Motherwell on the last day of the campaign. Further evidence of Hearts overcoming poor form to trip up a strong Aberdeen side arose in spring 2016 when Neilson’s side, who were stuttering towards third place on their first season back in the top flight, won only two of their closing nine fixtures – both against the Dons. One of those was at Tynecastle, in April 2016, when McInnes’s title-chasing team took a fourth-minute lead and played Hearts off the pitch for the first half hour before succumbing to a double from Juanma Delgado, a striker who hadn’t previously scored for three months. That Friday-night victory briefly had Hearts supporters believing they were on the cusp of overhauling Aberdeen once more after being blown off course by their financial troubles. Three years on and Hearts are still waiting to get ahead of the Dons, having finished mid-table in the past two seasons. 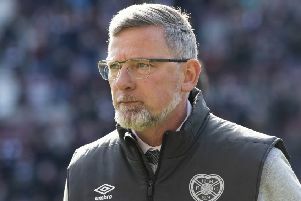 If they – and Levein – can rouse themselves enough to administer one of their trademark Gorgie blows to McInnes’s team this weekend, it will give them more than a fighting chance of finishing ahead of their old rivals for the first time since 2012.